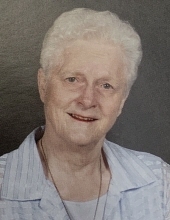 Evelyn Jean Burnham, 83, died January 21, 2019 at Azalea Garden Nursing Center in Wiggins, MS. Jean was a longtime member of First United Methodist Church in Wiggins. Jean was born February 10, 1935 to Bennie Robert Burnham and Iris Garner Burnham in Perkinston, MS. They preceded her in death. Jean is survived by one brother, Robert Burnham, and wife Carol of Birmingham, AL and several cousins. Jean, a practical nurse, worked at the Old Stone County Hospital for a few years, then went to work at Wiggins Clinic where she worked for thirty-five years. Services will be held on Thursday, January 24, 2019 at 2:00 p.m. at the Moore Funeral Home Chapel. Visitation will be from 1:00 p.m. until service time. Burial will be in Perkinston Cemetery. In lieu of flowers, the family prefers that donations be made in memory of Jean to your favorite charity or the American Heart Association. Moore Funeral Home is serving the family. To send flowers or a remembrance gift to the family of Evelyn Jean Burnham, please visit our Tribute Store. "Email Address" would like to share the life celebration of Evelyn Jean Burnham. Click on the "link" to go to share a favorite memory or leave a condolence message for the family.